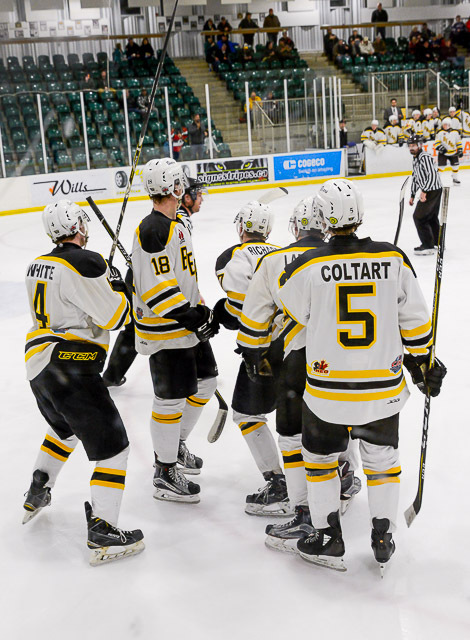 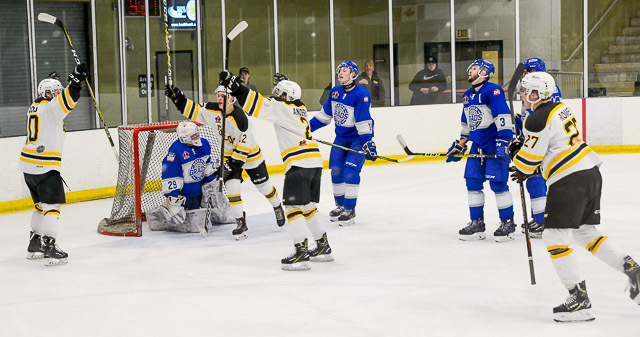 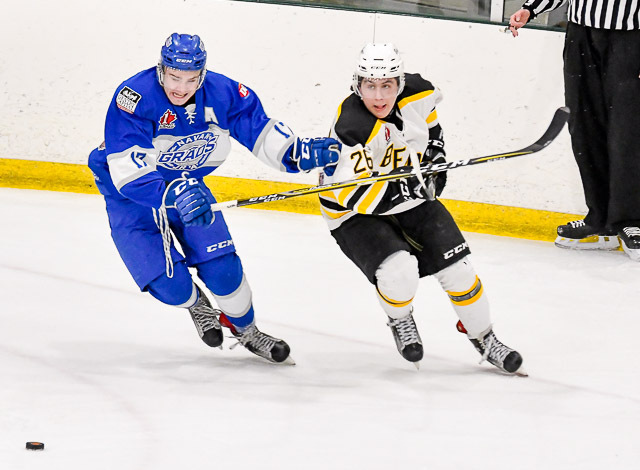 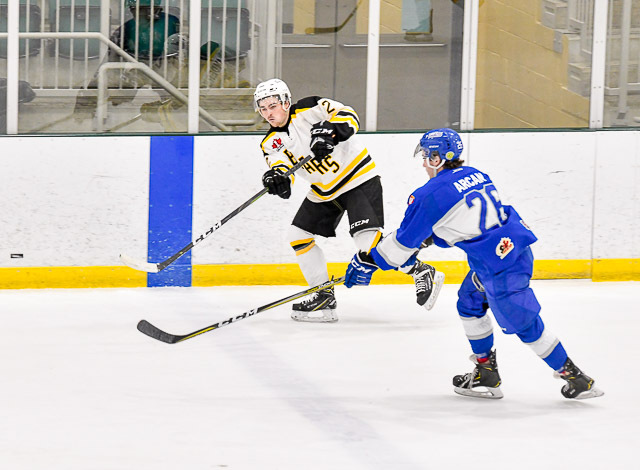 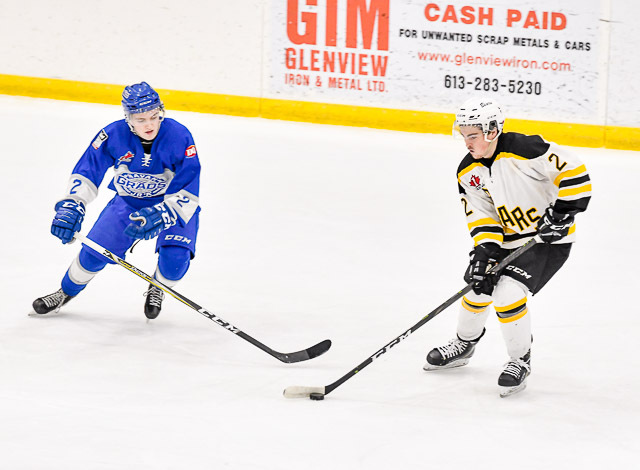 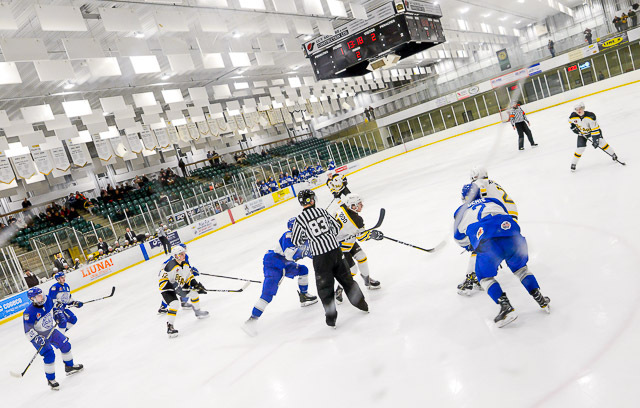 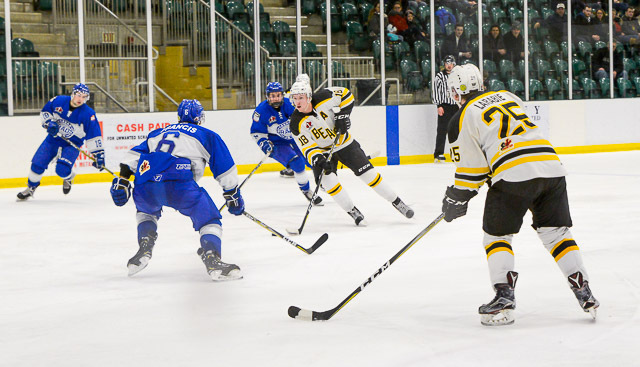 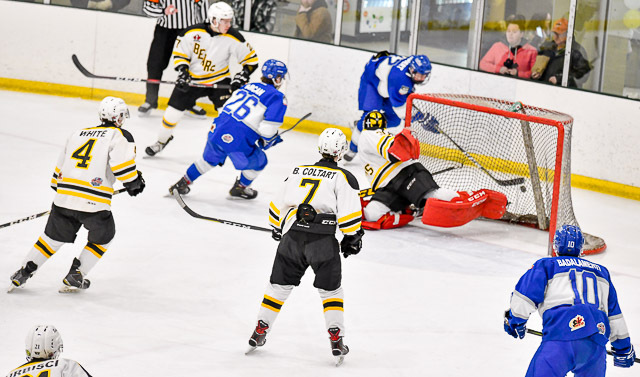 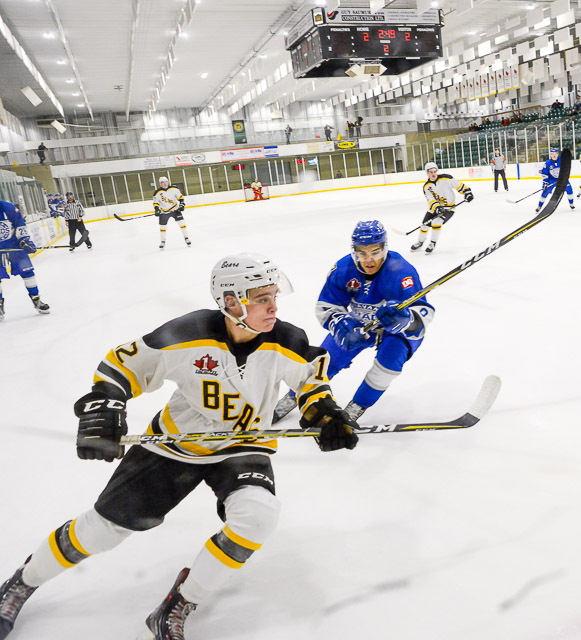 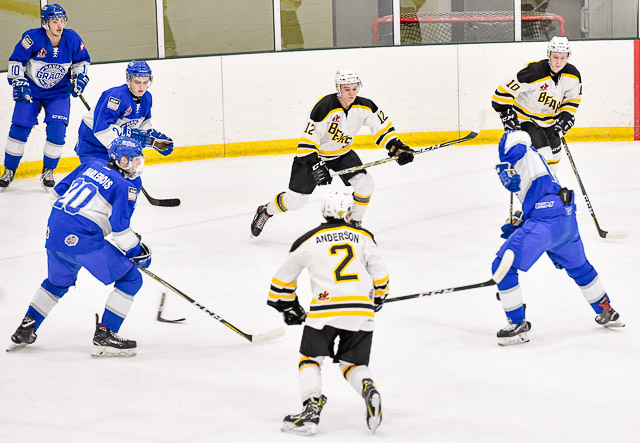 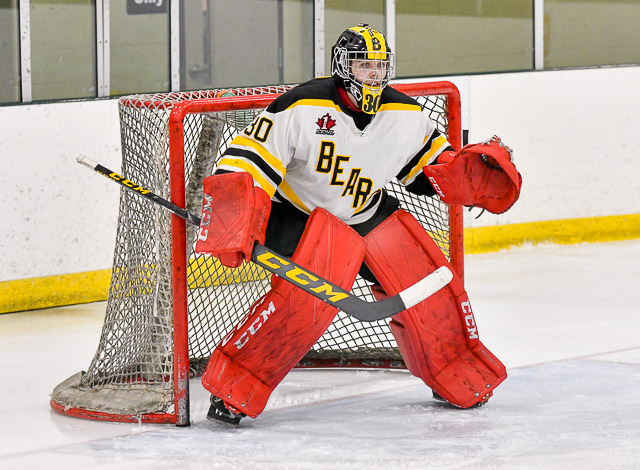 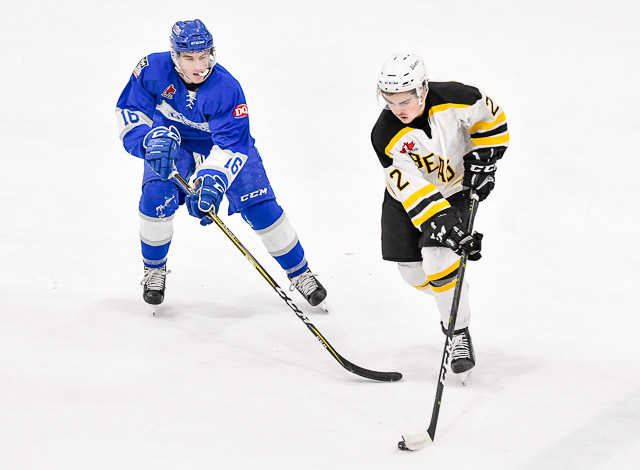 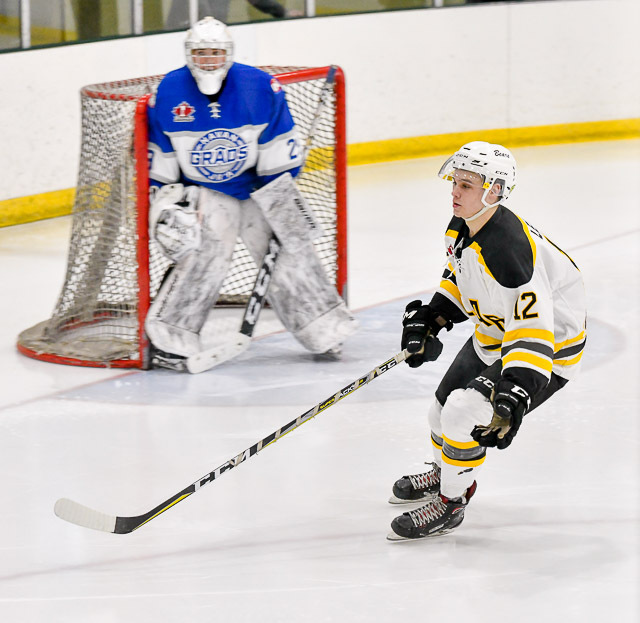 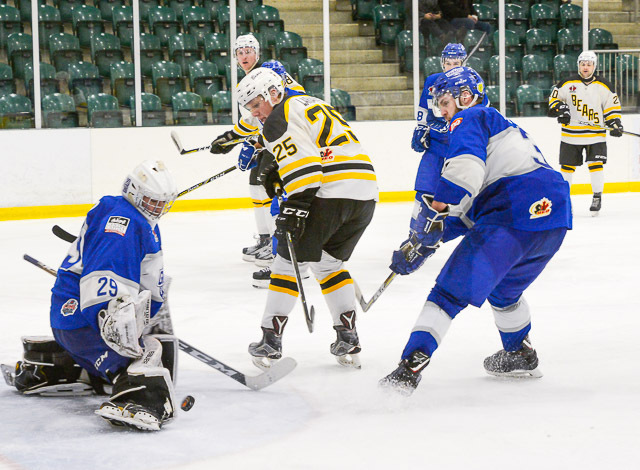 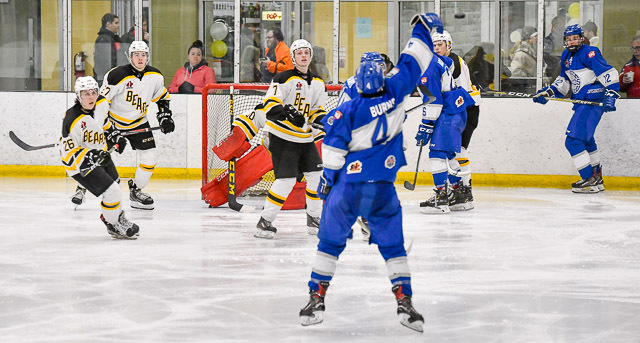 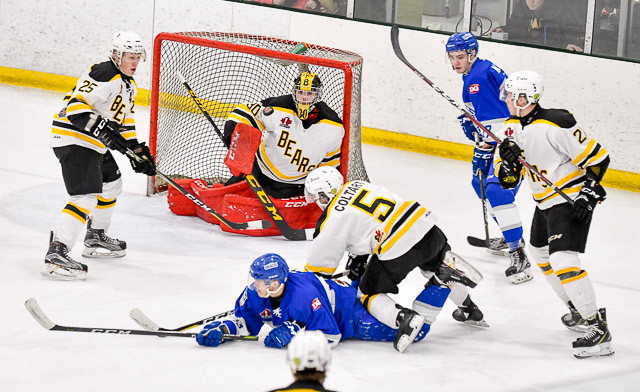 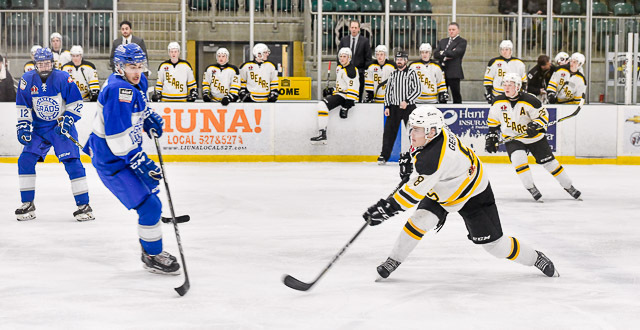 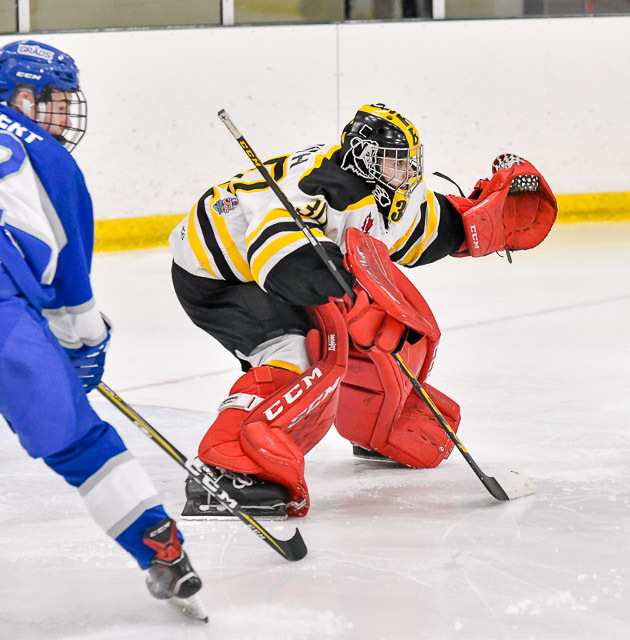 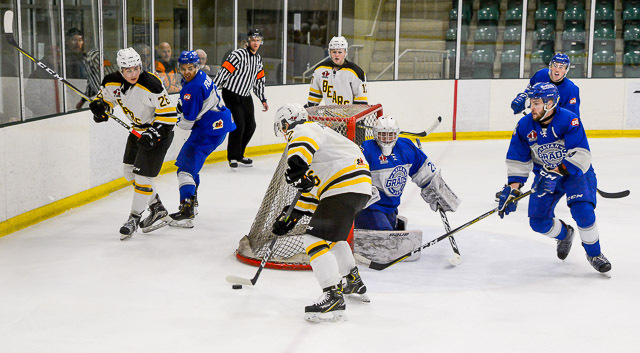 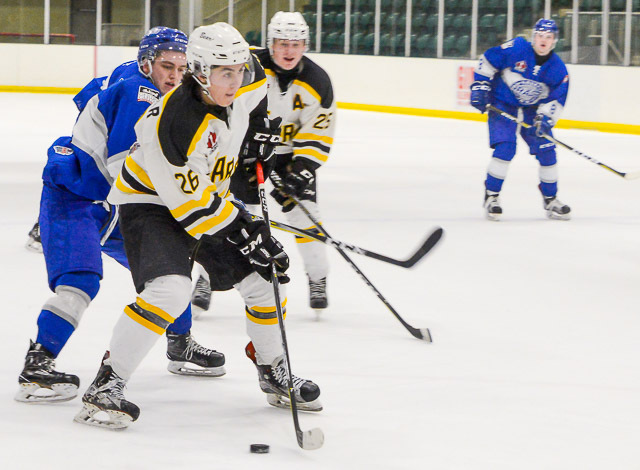 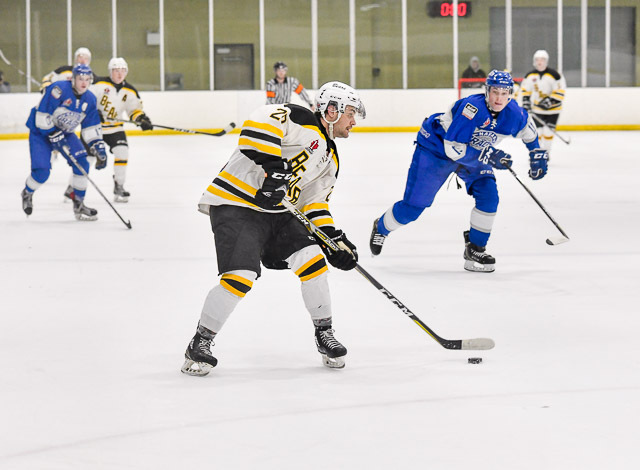 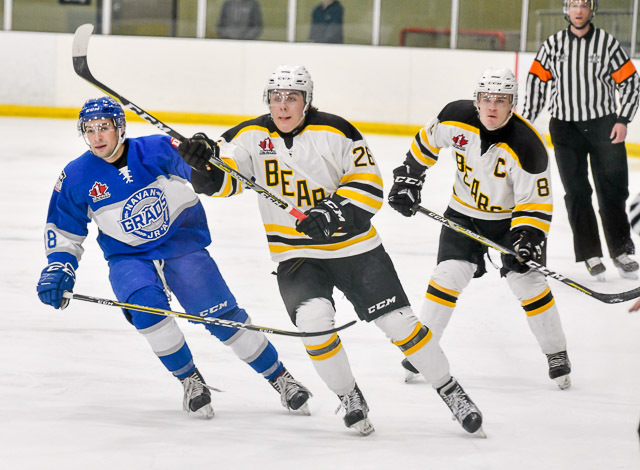 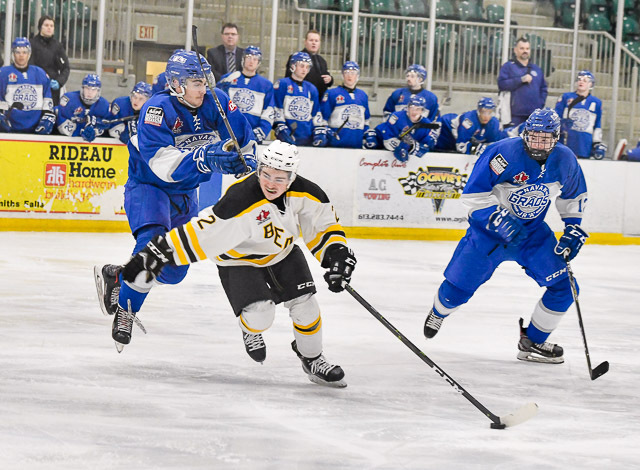 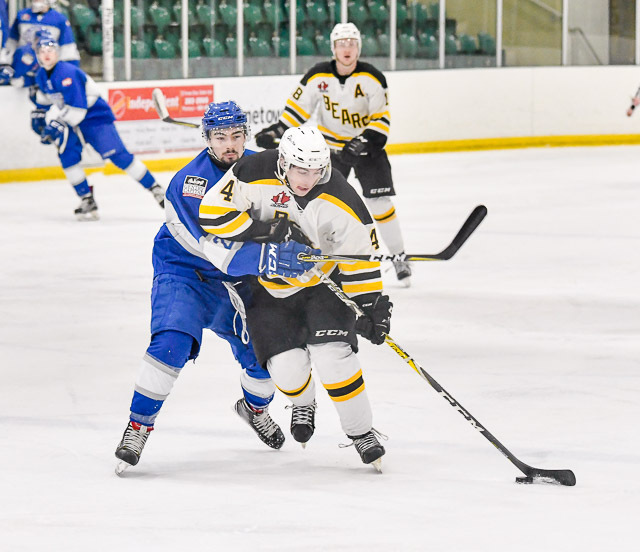 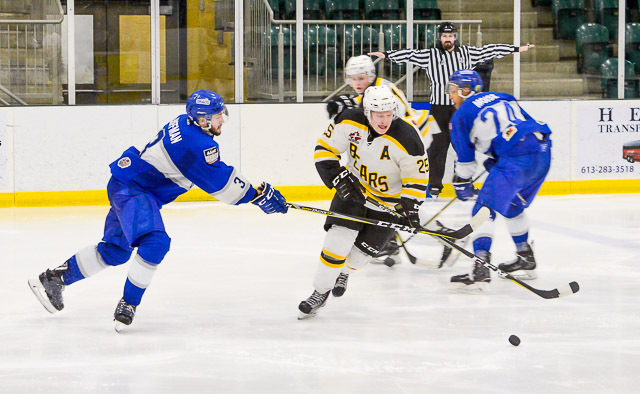 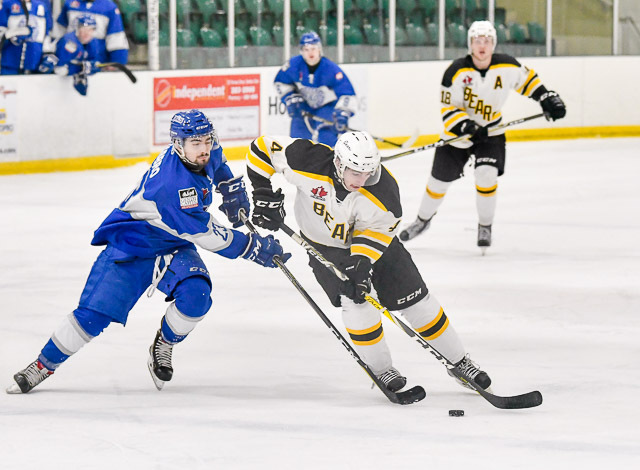 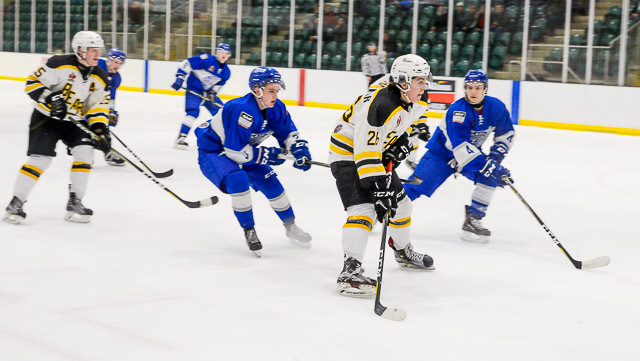 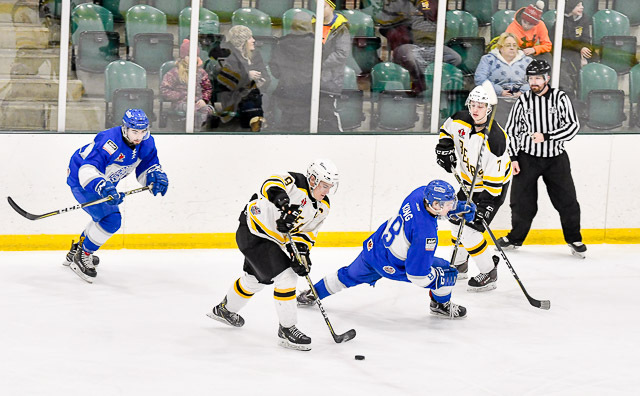 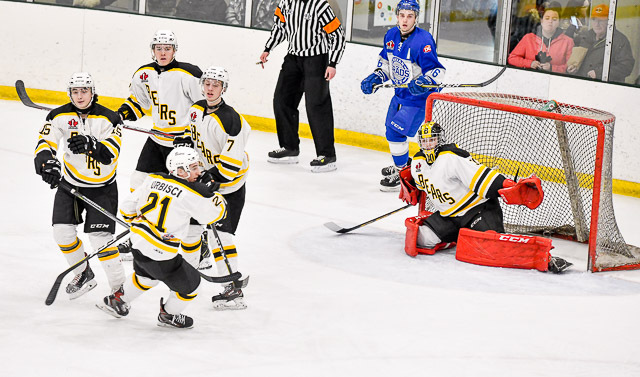 The Bears let a win slide through their claws at the Friday night game at the Den with a 3-4 loss against the Navan Grads in overtime. 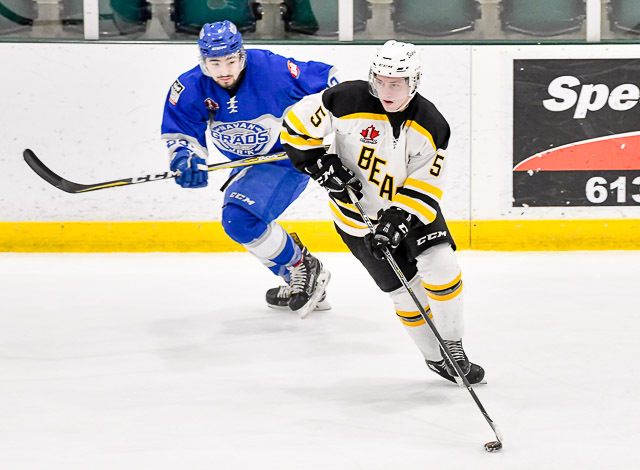 Jacob Shankar gave the Bears an early lead in the first period with a score at 4:48, assisted by Jacob Cuffley and Alexandre Way. 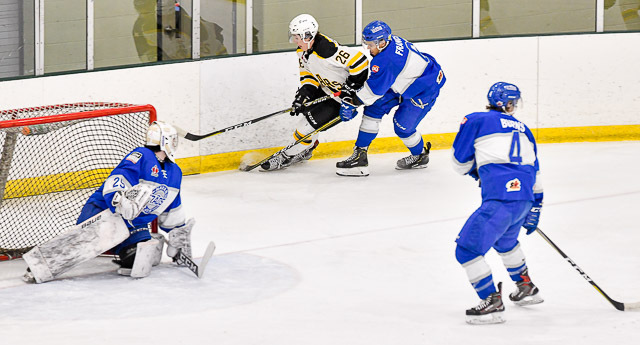 Navan answered in kind with a powerplay goal at 9:59 by Seva Losev. 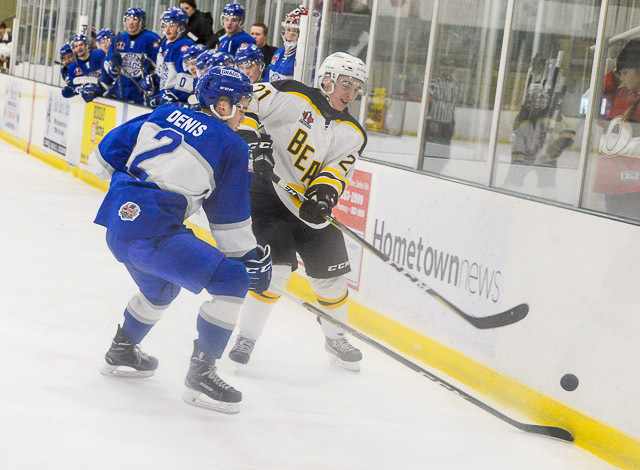 Navan overtook the Bears with a powerplay goal by Zack Hoffman 2:46 into the second period. 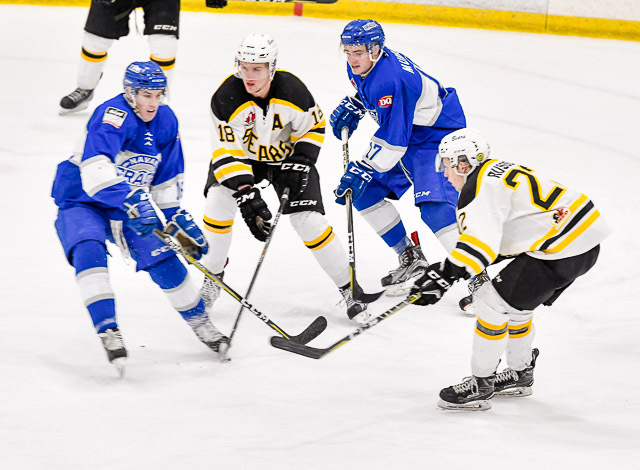 But Ryan Richardson, assisted by Peter White and Mitchell Larabie, closed the gab with a score at the 10:09 mark. 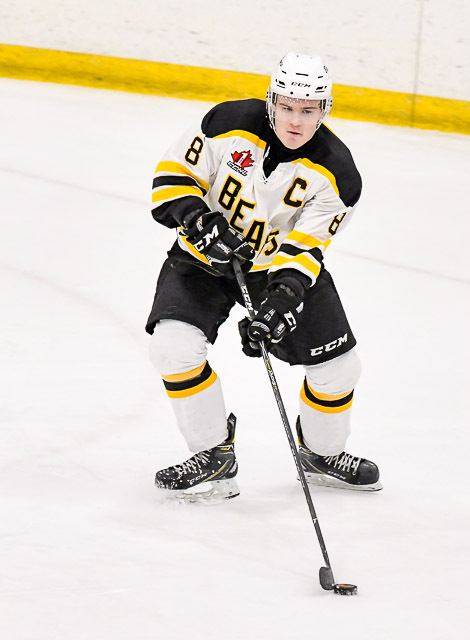 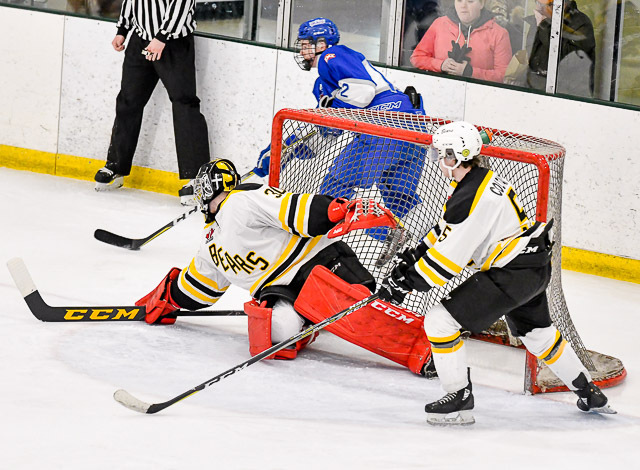 Theo Todd gave the Bears the edge with a goal at 7:15 in the third period, helped by Fletcher Anderson and Noah Romeo. 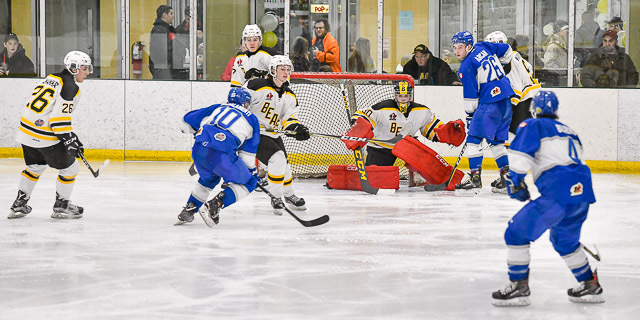 But two unnecessary penalties opened the way for Navan to force an overtime decision with a powerplay goal by Ben Badalamenti at 15:04. 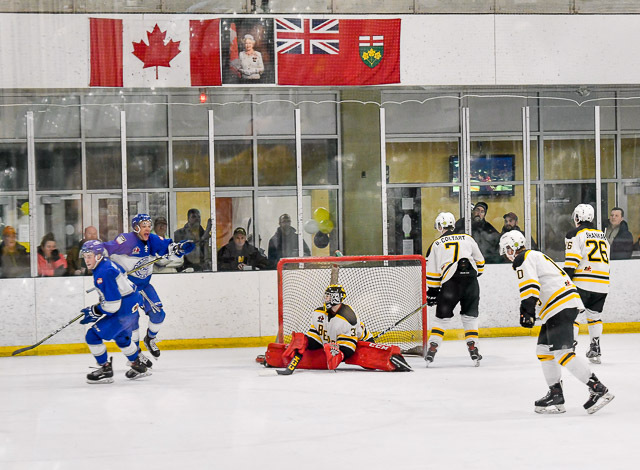 Jackson Arcan of the Grads went on to shoot the game winning goal at 2:12 during the first overtime period. 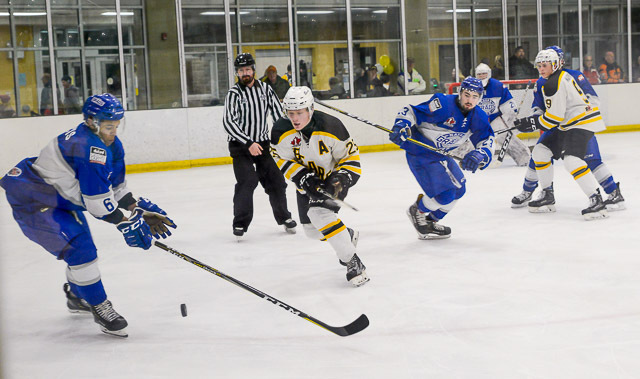 Zack Hoffman (NAV) was awarded First Star, Theo Todd received Second Star, and Third Star went to Jackson Arcan (NAV).